Engage Tuscaloosa is dedicated to strengthening the Tuscaloosa community through education and mentorship. 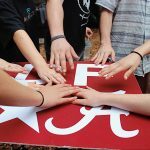 By fostering a culture of civic engagement within Honors College students, Engage Tuscaloosa addresses the needs of the Tuscaloosa community through partnerships with local schools and nonprofits. 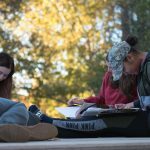 By meshing Honors College students, the Tuscaloosa community, and mentorship programs, Engage Tuscaloosa is preparing students to make a difference in the world. Fostering a love of reading and learning among elementary school students in Tuscaloosa through reading books and working through interactive lessons. Instilling scholastic competence in middle school students and empowering them to develop pathways to success while having meaningful conversations with students about their life, academics, and future. Introducing pre-school and kindergarten students to STEM concepts through experiments and interactive lessons. Helping students in the library as they work on early college, credit recovery and other on-line courses. The students will need a variety of assistance from help with specific questions on different subject matter to help with reading instructions and other text. There will be one or two teachers in the library supervising who will direct you with whom to work with and what to do. All you need to do is show up and be willing to help students as needed. Assist students with homework in various subjects or with an ACT prep book provided by the school. You can choose to either go one of the days each week or both. Initiative that empowers local 4th and 5th graders by teaching basic music theory and the recorder instrument. No prior music experience is required—we will prepare you over the course of two training sessions before meeting the kids. Be a part of a book club with high schoolers who love to read and/or want to develop a love of books. Engage students in discussion surrounding the books read.